30 year-old Cuban actress Ana de Armas, whose screen credits include Blade Runner 2049, may be cast as Marilyn in Andrew Dominik’s long-mooted big-screen adaptation of Blonde, Joyce Carol Oates’ 2000 novel loosely inspired by Marilyn’s tumultuous life, Collider reports – although Netflix have yet to confirm this. Naomi Watts and Jessica Chastain are among the big names previously suggested for the role. Dominik first announced his intention to direct Blonde back in 2010, but his pet project has endured many setbacks. A television adaptation starring Poppy Montgomery aired in 2002, to mixed reviews. While Blonde was a major literary success, many Monroe fans (myself included) feel that it takes too many liberties with the facts. Filmmaker Andrew Dominik’s long-awaited adaptation of Blonde, Joyce Carol Oates’ controversial novel, has hit another roadblock, Jordan Raup reports for The Film Stage. 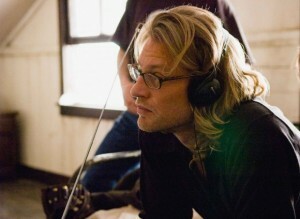 In August 2016, Dominik announced that he would produce Blonde for Netflix – but later admitted it was ‘not a done deal.’ Although high-profile actresses like Naomi Watts and Jessica Chastain were previously mooted to play MM, Dominik still hasn’t settled on a leading lady, and he will soon direct Tom Hardy in War Party, also for Netflix. While Blonde was a hit among the literati, some fans found Oates’ casual disregard for the facts of Marilyn’s life hard to swallow. And a 2002 TV mini-series also received mixed reviews. “When I spoke to you for Killing Them Softly, you were going to do Blonde next, but that was back in 2012. We’ve recently heard that Netflix was going to step in and finance that, so are you finally going to go into production on that film? DOMINIK: I don’t know. I hope so, but it’s not, in any way, a done deal. So, you don’t have a possible production date yet? What is it about that film and that story that’s made you stick with it all this time, and still want to get it made? DOMINIK: I think that Blonde will be one of the ten best movies ever made. That’s why I want to do it. DOMINIK: It’s a film about the human condition. It tells the story of how a childhood trauma shapes an adult who’s split between a public and a private self. It’s basically the story of every human being, but it’s using a certain sense of association that we have with something very familiar, just through media exposure. It takes all of those things and turns the meanings of them inside out, according to how she feels, which is basically how we live. It’s how we all operate in the world. It just seems to me to be very resonant. I think the project has got a lot of really exciting possibilities, in terms of what can be done, cinematically. Are you still hoping to have Jessica Chastain play Marilyn Monroe, or will you have to recast the role once you finally get a firm start date? 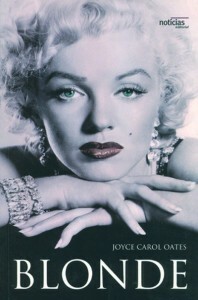 After several years of planning, acclaimed filmmaker Andrew Dominik will direct his adaptation of Blonde, Joyce Carol Oates’ controversial novel about Marilyn, for Netflix in 2017, as Jordan Raup reports for The Film Stage. “Dominik confirms rumors that Netflix is backing the film, with New Regency Pictures and Plan B previously on board. While Jessica Chastain was previously set to star, and Naomi Watts before her, Dominik says neither are attached anymore and that he’ll cast a new actress, to be announced this January. 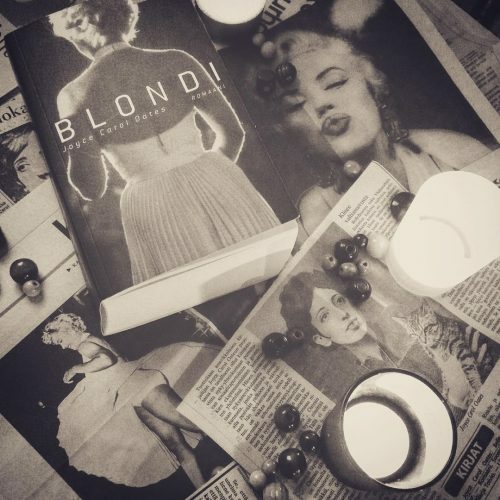 UPDATE: Immortal Marilyn has blogged about Blonde, outlying the potential problems of a fictional ‘biopic’. 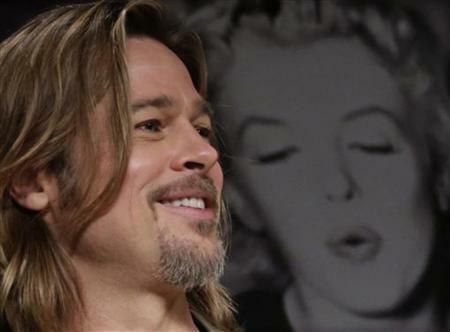 Director Andrew Dominik is still planning to film Joyce Carol Oates’ novel, Blonde – to be produced by Brad Pitt’s Plan B company – but with a new leading lady. The Wrap reports today that insider sources are suggesting Naomi Watts is out of the picture, with Jessica Chastain now in the running. According to a thread on the IMDB message board, Dominik revealed his new favourite in February. “Dominik adapted Blonde on spec and his agency, CAA, will represent the film’s domestic distribution rights. At first glance, Chastain is not an obvious choice to play Marilyn. However, her performance in The Help as Celia Foote, a character whom some have speculated may be based on MM, earned her an Oscar nomination. My own misgivings about this project do not concern the actress or the director, who are both very accomplished, but the source material. 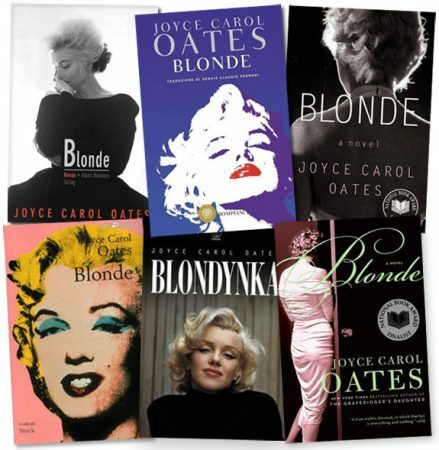 While Joyce Carol Oates is one of America’s most prominent writers, Blonde is less of a biographical novel than a brand of speculative fiction. It was previously adapted for television in 2002, to mixed reviews. The big-screen adaptation of Joyce Carol Oates‘s Blonde, which director Andrew Dominik has been talking up for a while now, has been optioned by Worldview Entertainment at this year’s Cannes Film Festival, reports Deadline. While I’m impressed by the talent involved, I still wish Oates’ story was more faithful to historical fact. Like many fans I’ve spoken to, I’m concerned that this movie – however well-intended – may only add to the misunderstandings about Marilyn’s life. “‘I’m going to do this movie called Blonde,’ which is about Marilyn Monroe,’ Dominik said. Collider reports that Brad Pitt’s Plan B company will produce Andrew Dominik’s forthcoming film of Blonde, based on the novel by Joyce Carol Oates about Marilyn’s life. Filming will probably begin early next year. But it is unclear whether Naomi Watts – who is about to play Princess Diana in another movie – is still attached to the project. Is ‘Blonde’ Back on Track? This Bert Stern-inspired photo of Naomi Watts, published in the latest issue of Russian Vogue, suggests that the Australian-born actress hasn’t given up on her long-held dream of playing Marilyn. However I do agree with Thomson that Naomi Watts could be a fine choice to play Monroe in a forthcoming biopic. Although she doesn’t resemble Marilyn physically (other than being blonde), Naomi has a fragile, ethereal quality. 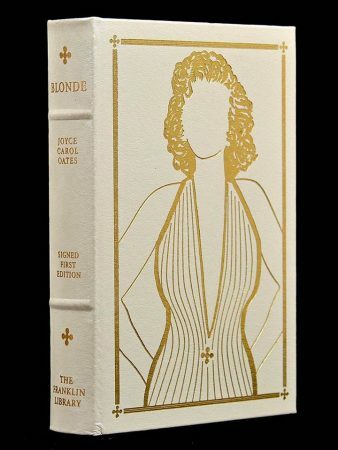 My only reservation about Andrew Dominik’s proposed screen adaptation of Joyce Carol Oates’ Blonde is that the novel, while imaginative, plays fast and loose with the facts of Marilyn’s life. Blonde was previously filmed for TV with Poppy Montgomery, but it was not well-received. Let’s hope that Andrew Dominik (who directed The Assassination of Jesse James by the Coward Robert Ford in 2005) can reverse the long trend of mediocre MM portrayals.